Everything will become clear after 1pm when Minister for Finance, Paschal Donohoe, makes his speech but much of Budget 2018 is already clear. Below is a recap of what we know. Between €1.1 and €1.2 billion of new spending and tax cuts, split on a basis of 2:1 in favour of spending. The threshold at which people enter the higher (40 per cent) rate of income tax will rise from its current level of €33,800, by €750 for a single person, to €34,550. 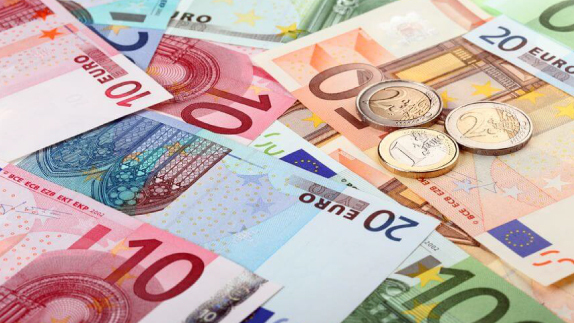 The 5 per cent rate of USC (Universal Social Charge), which is applied on income between €18,800 and €70,000, will drop by 0.25 per cent, and the 2.5 per cent rate, which is applied between €12,200 and €18,800, will drop by a half percentage point. Duties on alcohol will remain untouched but a packet of 20 cigarettes will increase by 50 cents. The prices of diesel and petrol will remain unchanged. The rate of commercial stamp duty will increase from 2 per cent to 6 per cent, which is estimated to bring in an extra €400 million. Everyone with a medical card under the age of 70 will see prescription charges reduce from €2.50 to €2 per item and the monthly cap decreased from €25 to €20. The debated help to buy scheme for first time buyers, which offers an income tax refund of up to €20,000 for buyers of newly built homes, is to be retained, but there may be slight amendments. There will be an increase in capital expenditure on housing, which is expected to be around €400 million. There is likely to be an increase in funding for Housing Assistance Payments (HAP), a social welfare support for people who have long-term housing needs. A new agency, Home Building Finance Ireland, is to use NAMA’s experience and provide cheap loans to developers. It will be funded by the sale of assets from the Irish Strategic Investment Fund (ISIF). The Department of Children and Youth Affairs will receive an allocation of €1.4 billion, with Tusla, the child and family agency, receiving €750 million, an increase of €40 million. Tusla are estimated to recruit 300 new staff and will develop a national out of hour’s phone service for reporting child abuse. There will be improved access to the Early Childhood and Education (ECCE) scheme, which provides early childhood care, for three and four year olds. In primary schools, the pupil-teacher ratio will drop to 26 pupils for every one teacher. 110 family resource centres around the country are to be allocated an extra €10,000 each, along with 11 new centres. The social welfare Christmas bonus is expected to be paid at 85 per cent of its usual rate. Approximately €40 million will be raised from the new sugar tax, although this will not take effect until April 2018.